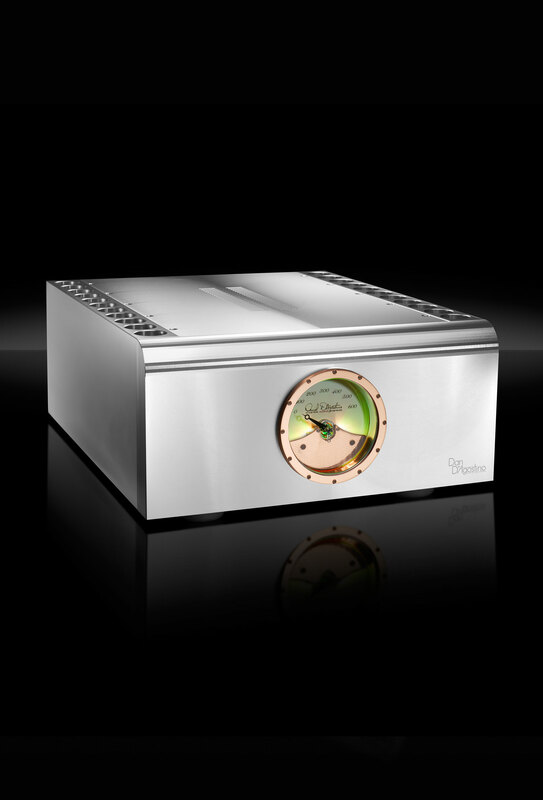 Only the Momentum HD Preamplifier delivers the sound quality and drive necessary to maximize the performance possible from the Momentum M400 monoblock and Momentum S250 stereo amplifiers. 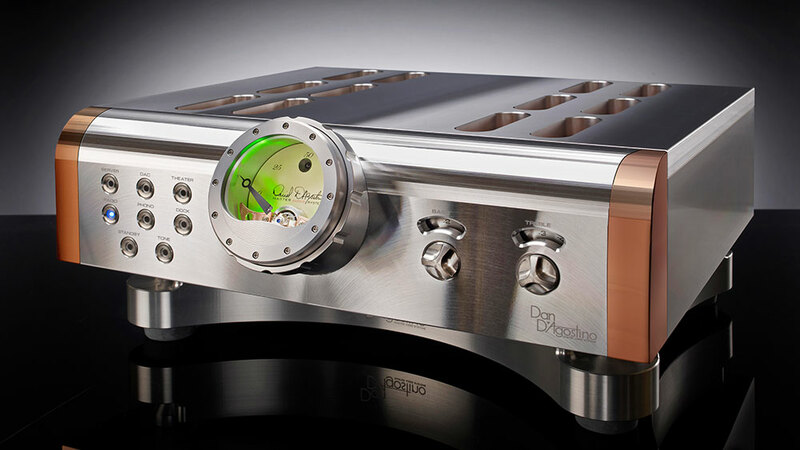 The Momentum HD Preamplifier builds on the award-winning platform of the Momentum Preamplifier. The new HD status represents the high dynamic and high definition improvements that have been achieved in this substantial upgrade. 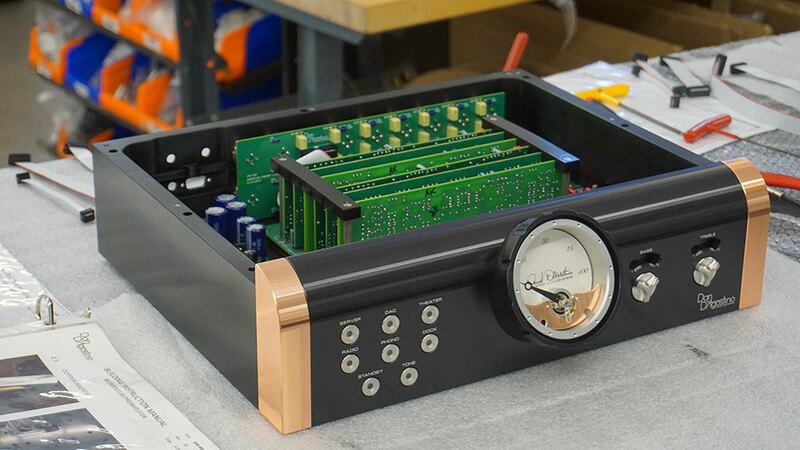 Advancements in the audio circuitry, power supply, and control sections are incorporated in the new Momentum HD Preamplifier. Like the Momentum amplifiers, the preamplifier uses complementary balanced circuit topology for maximum bandwidth and low noise. Its audio circuitry is fully discrete, with no op amps. Zero-feedback design assures the most musical sound quality. Volume adjustment is made through a resistor network governed by an optical controller—the cleanest, most transparent possible method of controlling volume. This new input stage started as an engineering exercise that delivered exceptional results. Fine-grain detail and delicate musical shadings are rendered with a lushness and richness that were simply unattainable previously. 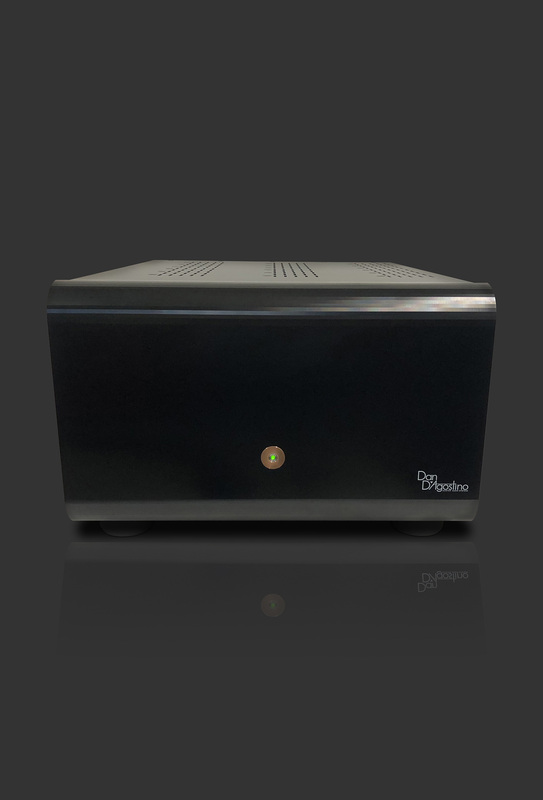 Housed in a separate chassis for maximum isolation, the Momentum HD main power transformer is 33% larger as compared to the original Momentum Preamplifier. 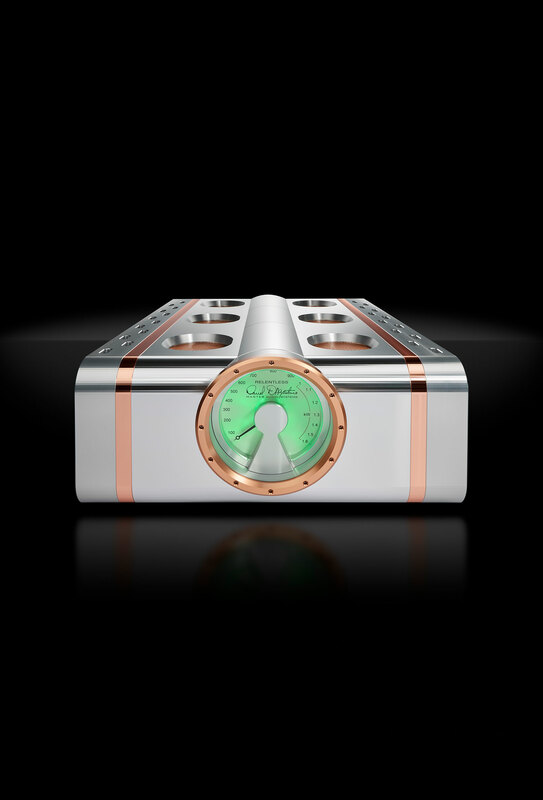 A unique winding technology, first employed in the Momentum M400 amplifier, delivers greater power output from the same footprint. Separate supplies power audio and control circuitry, so the control circuits are completely isolated from the audio circuits. Internal circuitry filters RF noise from the AC powerline and compensates for asymmetric power waveforms and DC on the main power line. Taking advantage of the increased power supply capability, the output stages are now operating at a 36% percent higher voltage. The increased output voltage has opened up the dynamics on both the micro and macro level with contrasts striking in their speed. 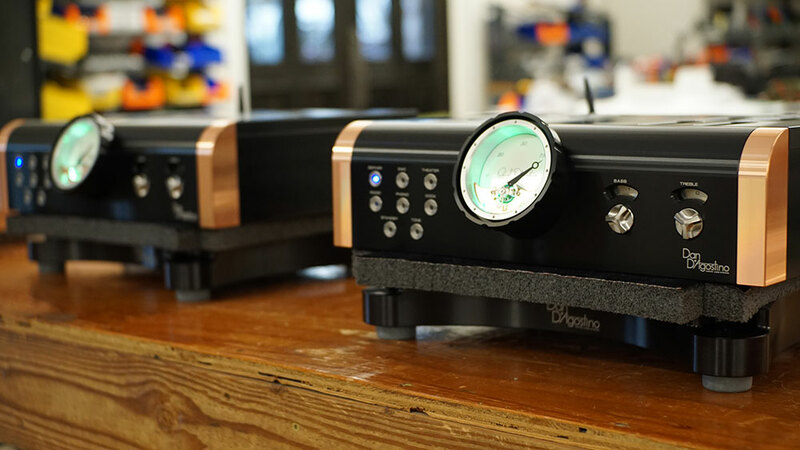 The styling of the Momentum HD Preamplifier perfectly complements the Momentum M400 and S250 amplifiers, with copper accents matching the amplifiers’ unique copper heat sinks. 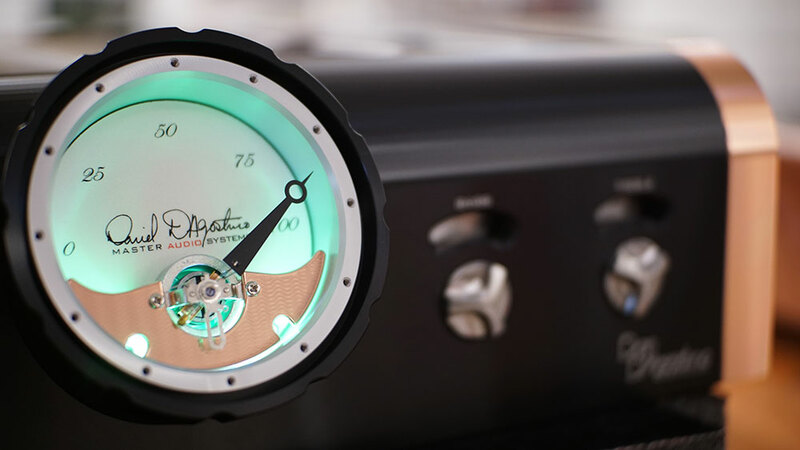 The meter on the front face of the preamplifier indicates volume setting, polarity, and mute status. Front selector buttons illuminate indicating which input is active. 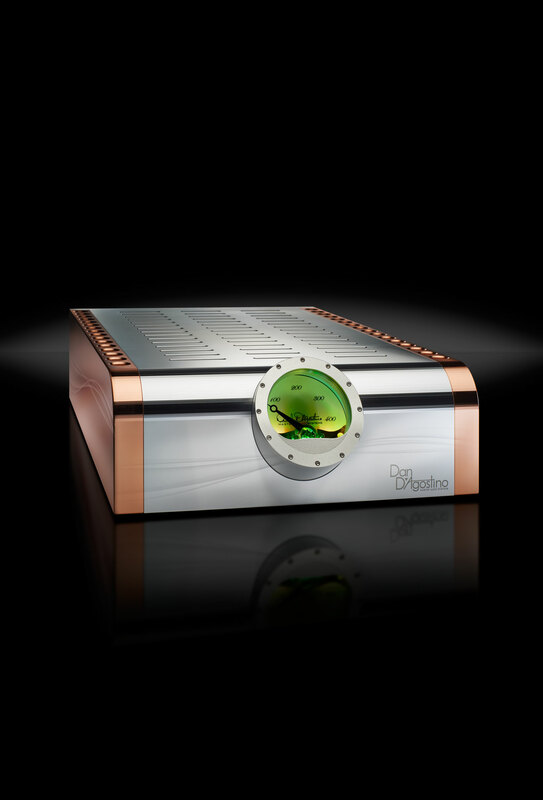 Existing Momentum Preamplifier owners will be able to upgrade to the new Momentum HD Preamplifier electronics enhancements. Dimensions 17 x 8 x 16 in.